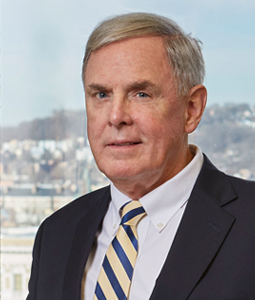 David is a founding partner of Boehm, Kurtz & Lowry who has practiced before state and federal utility regulatory commissions on electric, natural gas, and water cases exclusively for more than forty years, achieving a record of success in a dozen state energy regulatory bodies as well as the Federal Energy Regulatory Commission. He represents large industrial manufacturers, in groups and individually. Much of his practice involves contract negotiations and drafting and analysis of settlement agreements as alternatives to litigation. He has also successfully prosecuted and defended appeals to the Ohio Supreme Court and other appellate courts. Prior to the founding of Boehm, Kurtz & Lowry in 1990, David was a partner at Steer, Strauss, White & Tobias.